As part of our focus on ‘building community’ Kindale is now very involved in helping to provide affordable and sustainable housing options in the North Okanagan. Access to quality, safe and affordable housing is essential for those with disabilities wishing to live more independently in the community and many other individuals and families with low or fixed incomes have urgent housing needs as well. Kindale was an active participant in the Homelessness Initiative in Vernon in 2008/09 and has taken part in many community-based strategic planning sessions designed to address this pressing social need. Kindale made affordable housing an important part of the development of its new program headquarters in Armstrong. The Lydia Boss Centre, which opened in February 2013, provides program, meeting, and administrative space for Kindale on the ground floor and includes seven affordable apartment units on the second floor. 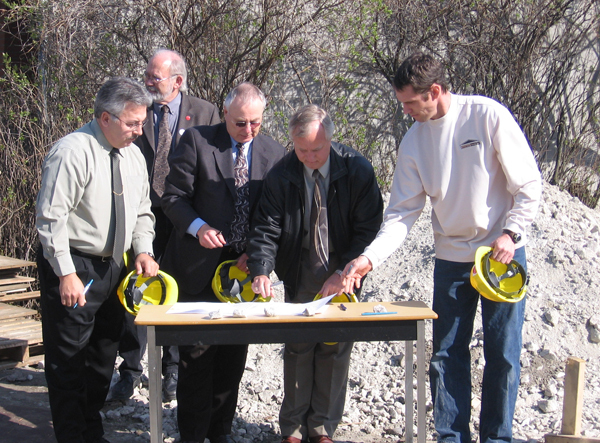 Kindale was also a partner in the development of the Viridian project in Vernon. 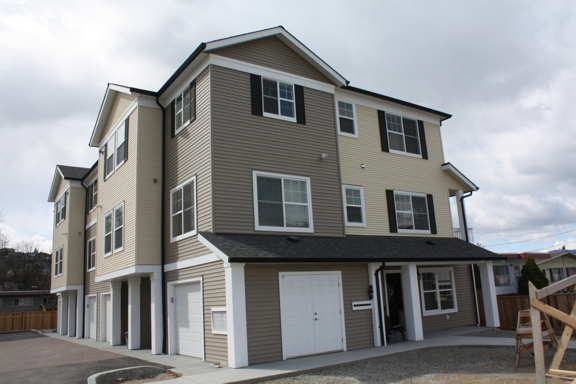 This 20 unit, apartment project, which opened in September 2013, provides bachelor, one bedroom, and two bedroom units in a townhouse configuration and includes a community garden. Kindale has the property management contract with BC Housing. The diverse community of residents includes a group of young adults with developmental disabilities who are living independently with supports provided by Kindale and funded by CLBC. Kindale is very pleased to have been part of the Under One Roof initiative. 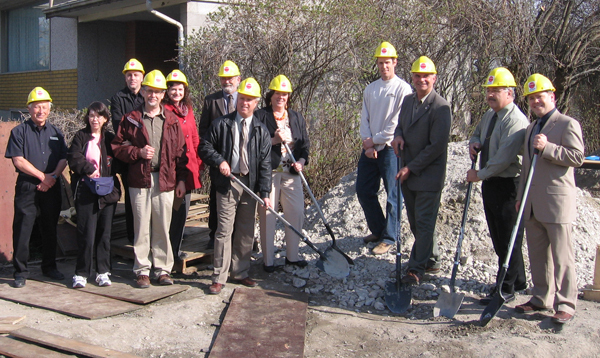 This unique partnership included Kindale, the Vernon and District Community Land Trust and Habit for Humanity. 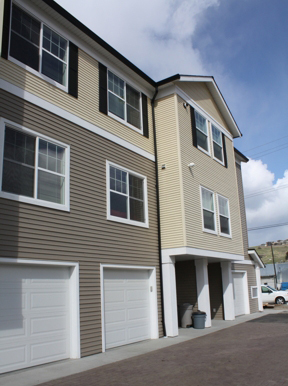 Together we recently completed construction of a 6-plex unit in Vernon which became available to tenants in March 2010. Two of the one-bedroom units were designed specifically for persons with disabilities. Three of the townhouse units will house low income families. One of these families will be available to provide supports to those with disabilities as needed. Kindale will be the property manager for these 5 units. The sixth unit, owned by Habitat for Humanity, has been made available for purchase to a low income, working family. This project was a wonderful example of community cooperation in action. In addition to the main partners, many other organziations, agencies, governments and businesses were involved. 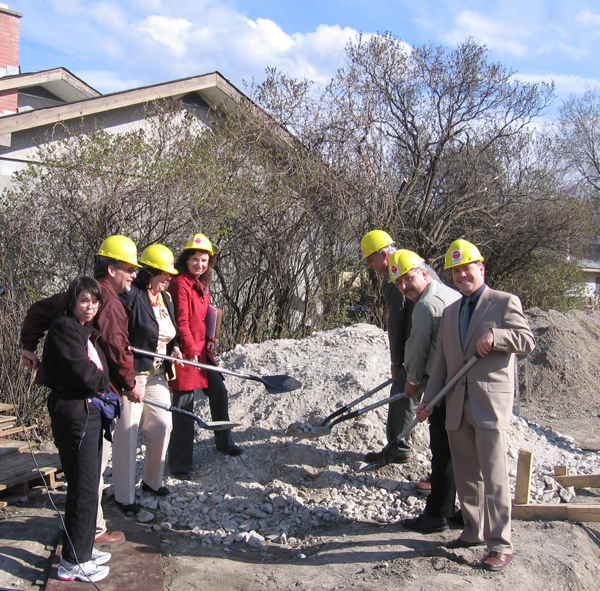 BC Housing provided a $600,000 grant which greatly offset the cost of construction and helped make the rental units affordable. 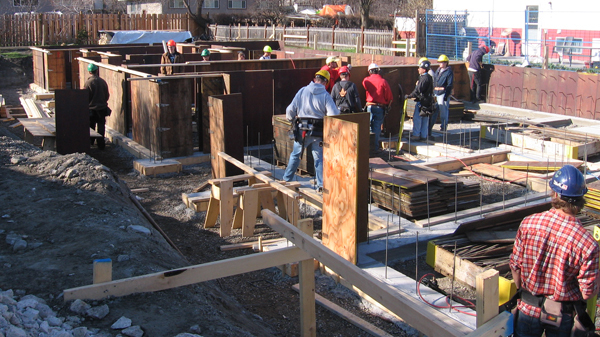 Students from the Residential Construction Program at Okanagan College, completed most of the framing for this building as part of their training. 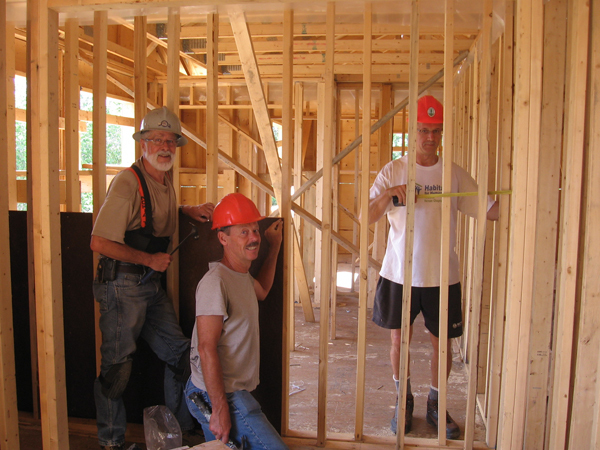 Participants in a Job Creation Partnership Project funded by the Ministry of Housing and Social Development provided additional labour during the construction phase. Companies such as Heartwood Homes, MQN Artchitects and A+P3 Architects and Planning provided their services at greatly reduced cost or pro bono. Many other businesses in the area donated materials and labour or provided them at reduced cost. Kindale looks forward to partnering in more initiatives in the future that will make it possible for all residents to enjoy safe, secure and affordable housing. This video documents the unique partnership that formed between the Vernon and District Community Land Trust, Kindale and Habitat for Humanity to create a housing complex for people with disabilities and low income families. It also celebrates the contributions of the City of Vernon, Okanagan College, BC Housing, various businesses and a whole community that came together to support a project which was built under budget and in record time – a great example of ‘building community’ in action. WHAT A DIFFERENCE GOOD HOUSING MAKES! James has a long history with Kindale - going back to the early 1960’s when it was a still a small school. With help from community support workers, James has lived independently for much of his adult life however good, safe, affordable housing has often been an issue for him. 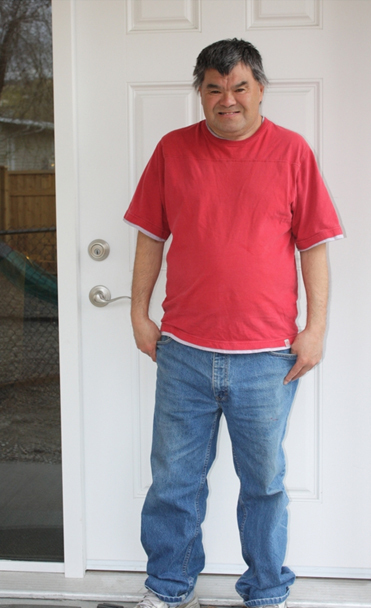 When asked what difference living in one of the Kindale units in the Under One Roof building makes, James is quick to say: “This is fantastic!” He shares how he lived previously in a rough part of town. Many people, including some of his neighbours, used or sold drugs. “It was often loud and people would knock on my door at night. I didn’t feel safe”. Jim’s life took an unfortunate turn when, in his 40’s, a hereditary disease called Cerebella Ataxia began to seriously affect his health. 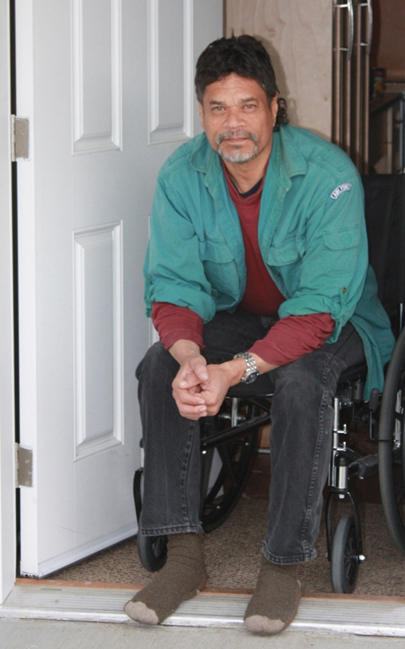 No longer able to work as an equipment operator in the oil exploration industry in Canada and overseas, Jim had to learn to live with an increasing loss of mobility, hearing and speech and became reliant on a wheelchair and scooter to get around. After his brother passed away Jim found himself on his own unable to afford the high rent. He moved into a tiny bachelor appartment in a rough area and struggled to cope. Jim considers himself very fortunate to have heard about the Under One Roof project and to have been selected as a tenant. His unit was specially designed for people with physical disabilities. When asked what he likes most about it he says: “The shower! I can get in and out without any trouble.” Jim also appreciates his new neighbours - one of which found him a sofa, larger TV and entertainment unit.